The Djibouti government is stepping up initiatives to increase its energy autonomy. To achieve this, the country wants to focus on renewable energies and more particularly on geothermal energy. According to the International Energy Agency (IEA), Djibouti’s electricity access rate was 50% in 2014. This is significantly higher than in many African countries, but hides a major problem. Sixty-five percent of the energy consumed in this East African country comes from Ethiopia and dependence on its large neighbour will increase as Djibouti develops energy-using infrastructure. It is estimated that by 2020, if the current configuration does not change, the country could import 700 GWh of electricity. However, the authorities intend to break this dependence on Ethiopia. They want the country to produce its own energy, but from renewable sources. By renewable energy, the authorities mainly mean geothermal energy, since Djibouti is full of abundant reserves. East African countries are investing more and more heavily in the production of energy from the natural heat of the subsoil. Djibouti is located at the junction of three major rifts: the Red Sea, Gulf of Aden and East African rifts. At the end of these tectonic plates is a volcanic area with fumaroles and geysers. The energy trapped in the subsoil, particularly around Lakes Abbe and Assal, is a renewable energy source that is currently untapped. The government estimates that Djibouti’s potential in this area is 1000 MW. 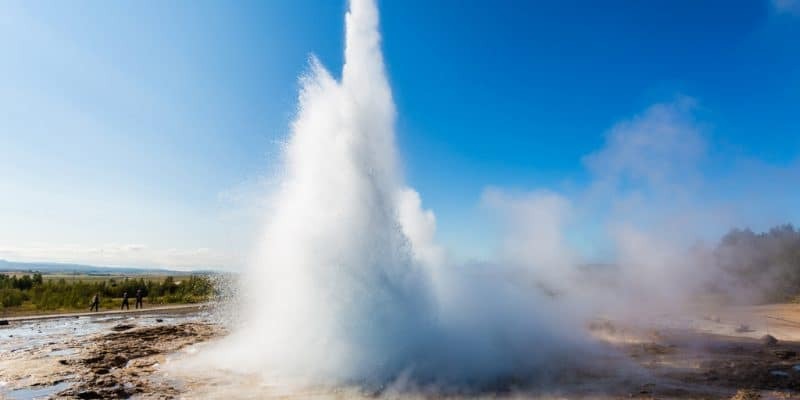 In May 2018, the authorities launched the drilling project in the Lake Assal region to explore its geothermal potential. It is a body of stagnant water in a crater in the Danakil desert in the centre of the country. Sleeping volcanoes and areas of black lava is reflected in its emerald water. It is therefore in this region with its very hot subsoil that Djibouti’s first geothermal power plant should soon be built. To support the will of the Djibouti government, the African Development Bank (AfDB) has decided to invest $15 million. The money will be used to explore and begin construction of a geothermal power plant.